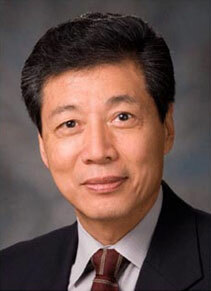 Kian Ang, M.D., Ph.D., vice president for Global Academic Programs and professor in Radiation Oncology, passed away June 19. Ang joined MD Anderson in 1984 and quickly became beloved colleague, mentor and friend to many. Ang. Who also held Radiation Oncology’s Gilibert H. Fletcher Distinguished Memorial Chair, made significant contributions to refining head and neck cancer therapy by developing regimens in preclinical models for testing in multi-institutional trials. In addition to being an accomplished physician-scientist, Ang expanded his service last fall by becoming vice president for Global Academic Programs (GAP). He brought his expertise and vision for international clinical research collaborations to GAP’s Sister Institution Network. “His GAP responsibilities for Dr. Ang’s passion for making a difference on global health and is reflective of his own International heritage.” Buchholz says. Ang was born in Indonesia and was educated in Europe at the Catholic University of Leuven in Belgium, where he received his M.D. and Ph.D. in Radiation Biology. “Dr. Ang’s quick wit and sense humor endeared him to colleagues around the globe.” Weber says. Ang also is connected to one of MD Anderson’s most beloved traditions: the bell – ringning at the end of radiation treatment. In 1996 , one of Ang’s patients, Navy admiral, told Ang “when the job was done” he wanted to use a Navy Tradition of ringing a bell. At his last treatment, patient brought a brass bell, rang it several times and donated it to And and the staff. Other head and neck patients continues the tradition, and it wasn’t long before all radiation patients began ranging the bell in celebration. Today, bells are used in many clinics throughout MD Anderson. “His caregiving skills were matched by his ability to connect, communicate and help patients with their cancer experience,” Buchholz says. Ang served as president of the American Society for Therapeutic Radiology and Oncology (ASTRO) from 2005 to 2006, and chair of its Board of Directors from 2006 to 2007. Ang also was the chair of the Head and Neck Committee of the Radiation Therapy Oncology Group, a cooperative group sponsored by the national cancer Institute that is dedicated to advancing radiation treatments through clinical trials research. A memorial service at MD Anderson will be held in the weeks ahead. Watch for details to be added to his article.